35009001 ZX15U HITACHI ZX15U Crawler excavator. Spare Parts Catalog. Service (workshop) Manual. Operator's Instruction Manual. 35009002 ZX15U - DM HITACHI ZX15U-DM Crawler excavator. Spare Parts Catalog. Service (workshop) Manual. Operator's Instruction Manual. 35009003 ZX16 HITACHI ZX16 Crawler excavator. Spare Parts Catalog. Service (workshop) Manual. Operator's Instruction Manual. 35009004 ZX18 HITACHI ZX18 Crawler excavator. Spare Parts Catalog. Service (workshop) Manual. Operator's Instruction Manual. 35009005 ZX25 HITACHI ZX25 Crawler excavator. Spare Parts Catalog. Service (workshop) Manual. Operator's Instruction Manual. 35009006 ZX27U HITACHI ZX27U Crawler excavator. Spare Parts Catalog. Service (workshop) Manual. Operator's Instruction Manual. 35009007 ZX27U - DM HITACHI ZX27U-DM Crawler excavator. Spare Parts Catalog. Service (workshop) Manual. Operator's Instruction Manual. 35009008 ZX30 HITACHI ZX30 Crawler excavator. Spare Parts Catalog. Service (workshop) Manual. Operator's Instruction Manual. 35009009 ZX30U HITACHI ZX30U Crawler excavator. Spare Parts Catalog. Service (workshop) Manual. Operator's Instruction Manual. 35009010 ZX30UR HITACHI ZX30UR Crawler excavator. Spare Parts Catalog. Service (workshop) Manual. Operator's Instruction Manual. 35009011 ZX35 HITACHI ZX35 Crawler excavator. Spare Parts Catalog. Service (workshop) Manual. Operator's Instruction Manual. 35009012 ZX35U HITACHI ZX35U Crawler excavator. Spare Parts Catalog. Service (workshop) Manual. Operator's Instruction Manual. 35009013 ZX40 HITACHI ZX40 Crawler excavator. Spare Parts Catalog. Service (workshop) Manual. Operator's Instruction Manual. 35009014 ZX40U HITACHI ZX40U Crawler excavator. Spare Parts Catalog. Service (workshop) Manual. Operator's Instruction Manual. 35009015 ZX40UR HITACHI ZX40UR Crawler excavator. Spare Parts Catalog. Service (workshop) Manual. Operator's Instruction Manual. 35009016 ZX50 HITACHI ZX50 Crawler excavator. Spare Parts Catalog. Service (workshop) Manual. Operator's Instruction Manual. 35009017 ZX50U HITACHI ZX50U Crawler excavator. Spare Parts Catalog. Service (workshop) Manual. Operator's Instruction Manual. 35009018 ZX55UR HITACHI ZX55UR Crawler excavator. Spare Parts Catalog. Service (workshop) Manual. Operator's Instruction Manual. 35009019 ZX60U - DH HITACHI ZX60U-DH Crawler excavator. Spare Parts Catalog. Service (workshop) Manual. Operator's Instruction Manual. 35009020 ZX60 - HCMC HITACHI ZX60-HCMC Crawler excavator. Spare Parts Catalog. Service (workshop) Manual. Operator's Instruction Manual. 35009021 ZX70 HITACHI ZX70 Crawler excavator. Spare Parts Catalog. Service (workshop) Manual. Operator's Instruction Manual. 35009022 ZX70 - HHE HITACHI ZX70-HHE Crawler excavator. Spare Parts Catalog. Service (workshop) Manual. Operator's Instruction Manual. 35009023 ZX70LC HITACHI ZX70LC Crawler excavator. Spare Parts Catalog. Service (workshop) Manual. Operator's Instruction Manual. 35009024 ZX75UR HITACHI ZX75UR Crawler excavator. Spare Parts Catalog. Service (workshop) Manual. Operator's Instruction Manual. 35009025 ZX75URT HITACHI ZX75URT Crawler excavator. Spare Parts Catalog. Service (workshop) Manual. Operator's Instruction Manual. 35009026 ZX75US - A HITACHI ZX75US-A Crawler excavator. Spare Parts Catalog. Service (workshop) Manual. Operator's Instruction Manual. 35009027 ZX75US HITACHI ZX75US Crawler excavator. Spare Parts Catalog. Service (workshop) Manual. Operator's Instruction Manual. 35009028 ZX75UST HITACHI ZX75UST Crawler excavator. Spare Parts Catalog. Service (workshop) Manual. Operator's Instruction Manual. 35009029 ZX80 HITACHI ZX80 Crawler excavator. Spare Parts Catalog. Service (workshop) Manual. Operator's Instruction Manual. 35009030 ZX80LCK HITACHI ZX80LCK Crawler excavator. Spare Parts Catalog. Service (workshop) Manual. Operator's Instruction Manual. 35009031 ZX80LC HITACHI ZX80LC Crawler excavator. Spare Parts Catalog. Service (workshop) Manual. Operator's Instruction Manual. 35009032 ZX80SB HITACHI ZX80SB Crawler excavator. Spare Parts Catalog. Service (workshop) Manual. Operator's Instruction Manual. 35009033 ZX80SBLC HITACHI ZX80SBLC Crawler excavator. Spare Parts Catalog. Service (workshop) Manual. Operator's Instruction Manual. 35009034 ZX85US HITACHI ZX85US Crawler excavator. Spare Parts Catalog. Service (workshop) Manual. Operator's Instruction Manual. 35009035 ZX110 HITACHI ZX110 Crawler excavator. Spare Parts Catalog. Service (workshop) Manual. Operator's Instruction Manual. 35009036 ZX110M HITACHI ZX110M Crawler excavator. Spare Parts Catalog. Service (workshop) Manual. Operator's Instruction Manual. 35009037 ZX120 HITACHI ZX120 Crawler excavator. Spare Parts Catalog. Service (workshop) Manual. Operator's Instruction Manual. 35009038 ZX120-E HITACHI ZX120-E Crawler excavator. Spare Parts Catalog. Service (workshop) Manual. Operator's Instruction Manual. 35009039 ZX120 - HCMC HITACHI ZX120-HCMC Crawler excavator. Spare Parts Catalog. Service (workshop) Manual. Operator's Instruction Manual. 35009040 ZX125US HITACHI ZX125US Crawler excavator. Spare Parts Catalog. Service (workshop) Manual. Operator's Instruction Manual. 35009041 ZX125US HITACHI ZX125US Crawler excavator. Spare Parts Catalog. Service (workshop) Manual. Operator's Instruction Manual. 35009042 ZX130 - AMS HITACHI ZX130-AMS Crawler excavator. Spare Parts Catalog. Service (workshop) Manual. Operator's Instruction Manual. 35009043 ZX130LCN HITACHI ZX130LCN Crawler excavator. Spare Parts Catalog. Service (workshop) Manual. Operator's Instruction Manual. 35009044 ZX130H HITACHI ZX130H Crawler excavator. Spare Parts Catalog. Service (workshop) Manual. Operator's Instruction Manual. 35009045 ZX130K HITACHI ZX130K Crawler excavator. Spare Parts Catalog. Service (workshop) Manual. Operator's Instruction Manual. 35009046 ZX130US HITACHI ZX130US Crawler excavator. Spare Parts Catalog. Service (workshop) Manual. Operator's Instruction Manual. 35009047 ZX135UR HITACHI ZX135UR Crawler excavator. Spare Parts Catalog. Service (workshop) Manual. Operator's Instruction Manual. 35009048 ZX135US HITACHI ZX135US Crawler excavator. Spare Parts Catalog. Service (workshop) Manual. Operator's Instruction Manual. 35009049 ZX135US - E HITACHI ZX135US-E Crawler excavator. Spare Parts Catalog. Service (workshop) Manual. Operator's Instruction Manual. 35009050 ZX135USK HITACHI ZX135USK Crawler excavator. Spare Parts Catalog. Service (workshop) Manual. Operator's Instruction Manual. 35009051 ZX135UST HITACHI ZX135UST Crawler excavator. Spare Parts Catalog. Service (workshop) Manual. Operator's Instruction Manual. 35009052 ZX135 HITACHI ZX135 Crawler excavator. Spare Parts Catalog. Service (workshop) Manual. Operator's Instruction Manual. 35009053 ZX160 HITACHI ZX160 Crawler excavator. Spare Parts Catalog. Service (workshop) Manual. Operator's Instruction Manual. 35009054 ZX160LC HITACHI ZX160LC Crawler excavator. Spare Parts Catalog. Service (workshop) Manual. Operator's Instruction Manual. 35009055 ZX160LCT HITACHI ZX160LCT Crawler excavator. Spare Parts Catalog. Service (workshop) Manual. Operator's Instruction Manual. 35009056 ZX180LC HITACHI ZX180LC Crawler excavator. Spare Parts Catalog. Service (workshop) Manual. Operator's Instruction Manual. 35009057 ZX180LCN HITACHI ZX180LCN Crawler excavator. Spare Parts Catalog. Service (workshop) Manual. Operator's Instruction Manual. 35009058 ZX185USR HITACHI ZX185USR Crawler excavator. Spare Parts Catalog. Service (workshop) Manual. Operator's Instruction Manual. 35009059 ZX200 HITACHI ZX200 Crawler excavator. Spare Parts Catalog. Service (workshop) Manual. Operator's Instruction Manual. 35009060 ZX200 - HHE HITACHI ZX200-HHE Crawler excavator. Spare Parts Catalog. Service (workshop) Manual. Operator's Instruction Manual. 35009061 ZX200-X HITACHI ZX200-X Crawler excavator. Spare Parts Catalog. Service (workshop) Manual. Operator's Instruction Manual. 35009062 IZX200 HITACHI IZX200 Crawler excavator. Spare Parts Catalog. Service (workshop) Manual. Operator's Instruction Manual. 35009063 IZX200LC HITACHI IZX200LC Crawler excavator. Spare Parts Catalog. Service (workshop) Manual. Operator's Instruction Manual. 35009064 ZX200LC HITACHI ZX200LC Crawler excavator. Spare Parts Catalog. Service (workshop) Manual. Operator's Instruction Manual. 35009065 ZX200LC Forester HITACHI ZX200LC Forester Crawler excavator. Spare Parts Catalog. Service (workshop) Manual. Operator's Instruction Manual. 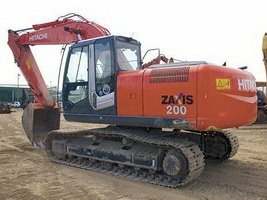 35009066 ZX200LC - HHE HITACHI ZX200LC-HHE Crawler excavator. Spare Parts Catalog. Service (workshop) Manual. Operator's Instruction Manual. 35009067 ZX200LC HITACHI ZX200LC Crawler excavator. Spare Parts Catalog. Service (workshop) Manual. Operator's Instruction Manual. 35009068 IZX210F HITACHI IZX210F Crawler excavator. Spare Parts Catalog. Service (workshop) Manual. Operator's Instruction Manual. 35009069 IZX210MF HITACHI IZX210MF Crawler excavator. Spare Parts Catalog. Service (workshop) Manual. Operator's Instruction Manual. 35009070 ZX210 HITACHI ZX210 Crawler excavator. Spare Parts Catalog. Service (workshop) Manual. Operator's Instruction Manual. 35009071 ZX210 - AMS HITACHI ZX210-AMS Crawler excavator. Spare Parts Catalog. Service (workshop) Manual. Operator's Instruction Manual. 35009072 ZX210K HITACHI ZX210K Crawler excavator. Spare Parts Catalog. Service (workshop) Manual. Operator's Instruction Manual. 35009073 ZX210H HITACHI ZX210H Crawler excavator. Spare Parts Catalog. Service (workshop) Manual. Operator's Instruction Manual. 35009074 ZX210 HITACHI ZX210 Crawler excavator. Spare Parts Catalog. Service (workshop) Manual. Operator's Instruction Manual. 35009075 ZX210H HITACHI ZX210H Crawler excavator. Spare Parts Catalog. Service (workshop) Manual. Operator's Instruction Manual. 35009076 ZX210LC HITACHI ZX210LC Crawler excavator. Spare Parts Catalog. Service (workshop) Manual. Operator's Instruction Manual. 35009077 ZX210LCH HITACHI ZX210LCH Crawler excavator. Spare Parts Catalog. Service (workshop) Manual. Operator's Instruction Manual. 35009078 ZX210N - AMS HITACHI ZX210N-AMS Crawler excavator. Spare Parts Catalog. Service (workshop) Manual. Operator's Instruction Manual. 35009079 ZX210N HITACHI ZX210N Crawler excavator. Spare Parts Catalog. Service (workshop) Manual. Operator's Instruction Manual. 35009080 ZX225US HITACHI ZX225US Crawler excavator. Spare Parts Catalog. Service (workshop) Manual. Operator's Instruction Manual. 35009081 ZX225US - E HITACHI ZX225US-E Crawler excavator. Spare Parts Catalog. Service (workshop) Manual. Operator's Instruction Manual. 35009082 ZX225USLC HITACHI ZX225USLC Crawler excavator. Spare Parts Catalog. Service (workshop) Manual. Operator's Instruction Manual. 35009083 ZX225USR HITACHI ZX225USR Crawler excavator. Spare Parts Catalog. Service (workshop) Manual. Operator's Instruction Manual. 35009084 ZX225USR - E HITACHI ZX225USR-E Crawler excavator. Spare Parts Catalog. Service (workshop) Manual. Operator's Instruction Manual. 35009085 ZX225USRK HITACHI ZX225USRK Crawler excavator. Spare Parts Catalog. Service (workshop) Manual. Operator's Instruction Manual. 35009086 ZX225USRLC HITACHI ZX225USRLC Crawler excavator. Spare Parts Catalog. Service (workshop) Manual. Operator's Instruction Manual. 35009087 ZX230 HITACHI ZX230 Crawler excavator. Spare Parts Catalog. Service (workshop) Manual. Operator's Instruction Manual. 35009088 ZX230-HHE HITACHI ZX230-HHE Crawler excavator. Spare Parts Catalog. Service (workshop) Manual. Operator's Instruction Manual. 35009089 ZX230LC HITACHI ZX230LC Crawler excavator. Spare Parts Catalog. Service (workshop) Manual. Operator's Instruction Manual. 35009090 ZX240F - 3 Forester HITACHI ZX240F-3 Forester Crawler excavator. Spare Parts Catalog. Service (workshop) Manual. Operator's Instruction Manual. 35009091 ZX240 HITACHI ZX240 Crawler excavator. Spare Parts Catalog. Service (workshop) Manual. Operator's Instruction Manual. 35009092 ZX240-AMS HITACHI ZX240-AMS Crawler excavator. Spare Parts Catalog. Service (workshop) Manual. Operator's Instruction Manual. 35009093 ZX240H HITACHI ZX240H Crawler excavator. Spare Parts Catalog. Service (workshop) Manual. Operator's Instruction Manual. 35009094 ZX240K HITACHI ZX240K Crawler excavator. Spare Parts Catalog. Service (workshop) Manual. Operator's Instruction Manual. 35009095 ZX240LCH HITACHI ZX240LCH Crawler excavator. Spare Parts Catalog. Service (workshop) Manual. Operator's Instruction Manual. 35009096 ZX240LC - HHE HITACHI ZX240LC-HHE Crawler excavator. Spare Parts Catalog. Service (workshop) Manual. Operator's Instruction Manual. 35009097 ZX250 Forester HITACHI ZX250 Forester Crawler excavator. Spare Parts Catalog. Service (workshop) Manual. Operator's Instruction Manual. 35009098 ZX250 HITACHI ZX250 Crawler excavator. Spare Parts Catalog. Service (workshop) Manual. Operator's Instruction Manual. 35009099 ZX250LC HITACHI ZX250LC Crawler excavator. Spare Parts Catalog. Service (workshop) Manual. Operator's Instruction Manual. 35009100 ZX250LCN HITACHI ZX250LCN Crawler excavator. Spare Parts Catalog. Service (workshop) Manual. Operator's Instruction Manual. 35009101 ZX270 HITACHI ZX270 Crawler excavator. Spare Parts Catalog. Service (workshop) Manual. Operator's Instruction Manual. 35009102 ZX270-HHE HITACHI ZX270-HHE Crawler excavator. Spare Parts Catalog. Service (workshop) Manual. Operator's Instruction Manual. 35009103 ZX270LC HITACHI ZX270LC Crawler excavator. Spare Parts Catalog. Service (workshop) Manual. Operator's Instruction Manual. 35009104 ZX280LC HITACHI ZX280LC Crawler excavator. Spare Parts Catalog. Service (workshop) Manual. Operator's Instruction Manual. 35009105 ZX280LCN HITACHI ZX280LCN Crawler excavator. Spare Parts Catalog. Service (workshop) Manual. Operator's Instruction Manual. 35009106 ZX290F - 3 Forester HITACHI ZX290F-3 Forester Crawler excavator. Spare Parts Catalog. Service (workshop) Manual. Operator's Instruction Manual. 35009107 ZX330 HITACHI ZX330 Crawler excavator. Spare Parts Catalog. Service (workshop) Manual. Operator's Instruction Manual. 35009108 ZX330-HHE HITACHI ZX330-HHE Crawler excavator. Spare Parts Catalog. Service (workshop) Manual. Operator's Instruction Manual. 35009109 ZX330-AP-EX HITACHI ZX330-AP-EX Crawler excavator. Spare Parts Catalog. Service (workshop) Manual. Operator's Instruction Manual. 35009110 ZX330-EX HITACHI ZX330-EX Crawler excavator. Spare Parts Catalog. Service (workshop) Manual. Operator's Instruction Manual. 35009111 ZX330LC HITACHI ZX330LC Crawler excavator. Spare Parts Catalog. Service (workshop) Manual. Operator's Instruction Manual. 35009112 ZX350 Forester HITACHI ZX350 Forester Crawler excavator. Spare Parts Catalog. Service (workshop) Manual. Operator's Instruction Manual. 35009113 ZX350K HITACHI ZX350K Crawler excavator. Spare Parts Catalog. Service (workshop) Manual. Operator's Instruction Manual. 35009114 ZX350LC HITACHI ZX350LC Crawler excavator. Spare Parts Catalog. Service (workshop) Manual. Operator's Instruction Manual. 35009115 ZX350H HITACHI ZX350H Crawler excavator. Spare Parts Catalog. Service (workshop) Manual. Operator's Instruction Manual. 35009116 ZX350H - EX HITACHI ZX350H-EX Crawler excavator. Spare Parts Catalog. Service (workshop) Manual. Operator's Instruction Manual. 35009117 ZX350K HITACHI ZX350K Crawler excavator. Spare Parts Catalog. Service (workshop) Manual. Operator's Instruction Manual. 35009118 ZX350LC HITACHI ZX350LC Crawler excavator. Spare Parts Catalog. Service (workshop) Manual. Operator's Instruction Manual. 35009119 ZX350LCH HITACHI ZX350LCH Crawler excavator. Spare Parts Catalog. Service (workshop) Manual. Operator's Instruction Manual. 35009120 ZX350LCK HITACHI ZX350LCK Crawler excavator. Spare Parts Catalog. Service (workshop) Manual. Operator's Instruction Manual. 35009121 ZX360LC - HHE HITACHI ZX360LC-HHE Crawler excavator. Spare Parts Catalog. Service (workshop) Manual. Operator's Instruction Manual. 35009122 ZX370 HITACHI ZX370 Crawler excavator. Spare Parts Catalog. Service (workshop) Manual. Operator's Instruction Manual. 35009123 ZX370MTH HITACHI ZX370MTH Crawler excavator. Spare Parts Catalog. Service (workshop) Manual. Operator's Instruction Manual. 35009124 ZX380HH HITACHI ZX380HH Crawler excavator. Spare Parts Catalog. Service (workshop) Manual. Operator's Instruction Manual. 35009125 ZX450 HITACHI ZX450 Crawler excavator. Spare Parts Catalog. Service (workshop) Manual. Operator's Instruction Manual. 35009126 ZX450H HITACHI ZX450H Crawler excavator. Spare Parts Catalog. Service (workshop) Manual. Operator's Instruction Manual. 35009127 ZX450H - HHE HITACHI ZX450H-HHE Crawler excavator. Spare Parts Catalog. Service (workshop) Manual. Operator's Instruction Manual. 35009128 ZX450LC HITACHI ZX450LC Crawler excavator. Spare Parts Catalog. Service (workshop) Manual. Operator's Instruction Manual. 35009129 ZX450LCH HITACHI ZX450LCH Crawler excavator. Spare Parts Catalog. Service (workshop) Manual. Operator's Instruction Manual. 35009130 ZX460LCH HITACHI ZX460LCH Crawler excavator. Spare Parts Catalog. Service (workshop) Manual. Operator's Instruction Manual. 35009131 ZX480MT HITACHI ZX480MT Crawler excavator. Spare Parts Catalog. Service (workshop) Manual. Operator's Instruction Manual. 35009132 ZX500LCH HITACHI ZX500LCH Crawler excavator. Spare Parts Catalog. Service (workshop) Manual. Operator's Instruction Manual. 35009133 ZX600 HITACHI ZX600 Crawler excavator. Spare Parts Catalog. Service (workshop) Manual. Operator's Instruction Manual. 35009134 ZX600LC HITACHI ZX600LC Crawler excavator. Spare Parts Catalog. Service (workshop) Manual. Operator's Instruction Manual. 35009135 ZX600LCH HITACHI ZX600LCH Crawler excavator. Spare Parts Catalog. Service (workshop) Manual. Operator's Instruction Manual. 35009136 ZX650H HITACHI ZX650H Crawler excavator. Spare Parts Catalog. Service (workshop) Manual. Operator's Instruction Manual. 35009137 ZX650LCH HITACHI ZX650LCH Crawler excavator. Spare Parts Catalog. Service (workshop) Manual. Operator's Instruction Manual. 35009138 ZX800 HITACHI ZX800 Crawler excavator. Spare Parts Catalog. Service (workshop) Manual. Operator's Instruction Manual. 35009139 ZX850H HITACHI ZX850H Crawler excavator. Spare Parts Catalog. Service (workshop) Manual. Operator's Instruction Manual.